"See, the issue is this. Dave had a hi-def transfer of the film negative made. Then that was transferred to drives, and each frame (over 130,000) were cleaned individually, in hi-def. This is very unusual. Then, the film had to be assembled, sound was resored, sound and film married up again, and the compression and authoring. The last step has killed it so far. If you watch pretty much any DVD, the end title 'crawl' is pixellated, and hops and wiggles, and sometimes even has trails. Why? It is hi-contrast B&W, the enemy of compression. Well, what is Eraserhead? Hi-contrast B&W. David wants this film, which is truly his 'baby', to be perfect. It has been compressed and authored numerous times, and there have always been artifacts and weirdities that have not been to his satisfaction. It is close. But he went away for a few weeks, and it must wait for his review. I promise you will love it. And, there is a ninety or so minute 'extra', which is interviews and observations and recollections of the time when it was made, with photos, video footage never seen before. Thanks for your patience, it will be worth it." Anyone who's done video for the web is probably familar with Discreet's Media Cleaner software, and that includes Lynch. Discreet's website has a spotlight story featuring Lynch's use of it on the Cannes Diary segments. You can check it out here. Thanks to Sammy Richter for the link. * Running Time: 135 mins. Lynch is out of the country till next month, but there have still been a few new additions at davidlynch.com in these past weeks. Episode 4 and 5 of Rabbits is up, as well as a new video in the Industrial Soundscapes music section. The next batch of Eraserhead test discs are back from quality control. As soon as Lynch gets back in the county and takes a look at one, he should be able to OK it (assuming it meets his standards). 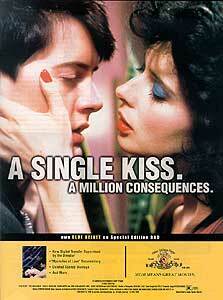 Then the discs can be pressed and hopefully will be available from davidlynch.com in September. "American film director David Lynch told French newspaper Le Monde he had met Messier just once. 'I found him charming and intelligent, but it seems like the California sun and love of money have gone to his head,' he was quoted as saying." Here's an update on the list of players that have problems accessing the special features section of the Blue Velvet Special Edition DVD. The affected players are: Loewe Xemix 5006, Micromega Minium, and almost all Philips and Philips Magnavox players. It seems most any DVD player manufactured by or with parts from Phillips is having the problems, so that's most likely where the blame lies. MGM hasn't commented yet on the problems, but I'd suggest people having problems with their discs contact Philips and make them aware of the problem. I'm sure there are probably other discs that have similar problems on those players and if enough people complain sooner or later they should release a firmware update. Julee Cruise now has her own website. There you'll find news and information about her and her upcoming film "The End Of the Line," Directed by Alex Shaoul. The site is still under construction so be patient if you run across a section that's not there yet. The url is www.juleecruise.net. Now available at the davidlynch.com store is a cd of the piece of music heard throughout Lynch's Cannes Diary series. 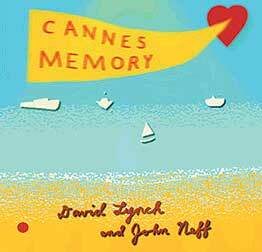 The score single is entitled "Cannes Memory" and is available in the cd section of the store. In the June 28-July 5 "It" issue of Entertainment Weekly devoted to the "the most creative people in the biz - the cutting-edge, on-the-verge, or simply better-than-ever talent behind, in front of, and on top of the scenes," Naomi Watts was named "It Quick-Change Artist." You can read the article here. A new DVD ad has been popping up in various film-related magazines. Nice to see a Lynch disc getting some promotion, and this is certainly one that deserves it. Anamorphically remastered from a new print. * Running Time: 89 mins. * Running Time: 137 mins. On 17th October 2002, the first season of Twin Peaks (including pilot) will be released on DVD in Italy. The listed extras include commentaries, deleted scenes, Log Lady intros, interviews and filmographies, 17 slices of pie: Caff� Mar T Diner and episode notes. Audio : Dolby Digital 5,1 ING - Dolby Digital Mono ITA SPA - Dolby Digital Mono GER. Subtitles : GER - ITA ING SPA. You can order it here or here. Thanks to Daniele Dalledonne for the info. Not much new Lynch news to report lately, but episode 3 of Rabbits is up at davidlynch.com. This episode features Rebekah Del Rio. All pages Copyright © 1995-2002 LynchNet, unless otherwise noted.